B9 Beverages Pvt. Ltd, which makes craft beer under the brand Bira 91, has raised Rs 335 crore (around $50 million) in a round of funding led by Belgium-based investment firm Sofina. The Times of India quoted B9's founder Ankur Jain as saying that existing investor Sequoia Capital had also participated in the round. The transaction has valued the company at around Rs 1,400 crore (around $210 million). The report added that B9 will mainly use the fresh funds to spread its footprint outside India. The company is eyeing markets such as the US, Thailand, Hong Kong and Singapore. Email queries sent to B9, Sequoia Capital and Sofina did not elicit a response till the time of publishing this report. Launched in February 2015, B9 currently has a presence in Delhi, Mumbai, Goa, Kolkata, Bengaluru, Pune and Chandigarh. The company has import and marketing rights from seven breweries and also has a tie-up with a contract manufacturer in Belgium. It sells over 50,000 cases a month. Ankur Jain, the founder and CEO of B9, had earlier told VCCircle that it had a market share of nearly 30% in the premium segment. The company had last year raised Rs 50 crore ($7.7 million) from Sequoia Capital. In 2016, B9 had received a Series A cheque of Rs 40 crore ($6 million) from a group of investors led by Sequoia Capital. Jain had told Reuters in March that the company was aiming to list itself in the next three to five years. He also said that the B9 expects its India business to break even in the current financial year and revenue to more than double to around $60 million. Domestic premium lagers make up for almost 80% of the total volume of beer sold in India, according to market research firm Euromonitor. 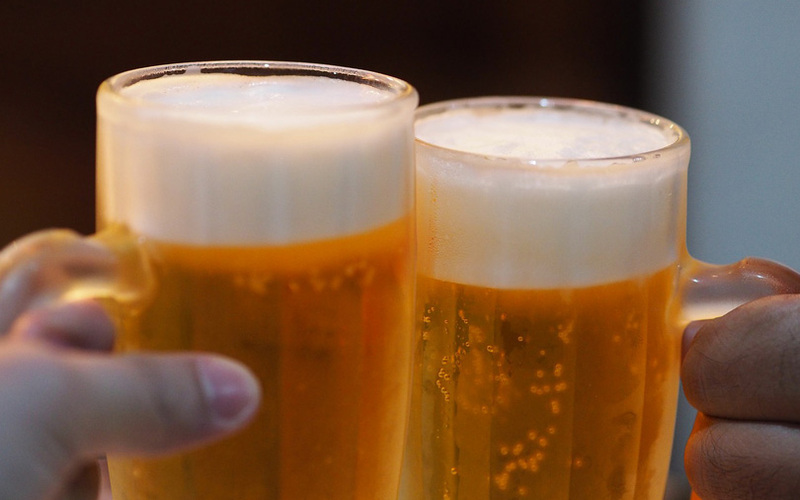 Although much smaller in size, the imported premium lager segment is expected to register a compounded annual growth rate of 11% between 2013 and 2018, the report said. While B9 has a headstart in the domestic craft beer market, it is expected to face competition from global rivals and other Indian brands looking to enter the market. Among other players in the alco-beverage space to have raised funding over the past year include White Owl Brewery Pvt. Ltd, a Mumbai-based craft beer maker. The firm raised its pre-Series A round of funding from a clutch of investors in June last year. Sequoia, a venture and growth capital investor, and Sofina, which invests across sectors, have teamed up to fund Indian ventures on a number of occasions in the past. Last month, the duo invested in Southeast Asian fashion marketplace Zilingo Pte. Ltd as part of a $54 million (Rs 351 crore) Series C round. The investment firms had also backed Bengaluru-based genomics-based diagnostics and research firm MedGenome Labs Pvt. Ltd in a $30 million (Rs 192 crore) Series C round last August. They had also previously invested together in mobile recharge platform FreeCharge and Gurgaon-based Hector Beverages Pvt Ltd, which manufactures soft drinks and beverages under the Paper Boat brand.